Your answer is probably here. The fastest way to reach us! We even have a fax. No joke! System status All systems running without issues. When we talk about hosting made easy at Funio, it’s more than a punchline. Web hosting can’t be overly complex and technical anymore. It is 2015 so it’s time to provide a single interface to manage all web hosting needs with ease. More importantly, it’s time to take into account cusomters’ new habits and offer a mobile solution. This is our belief. This is why we are really proud to introduce you to the Funio mobile application and its features. Tired of having to log in on a computer every time you need to check the expiration date of your domain name or when you need to pay an invoice? We are as well. It’s high time to optimize this process with an app that allows you to do all of this in only seconds, wherever you are. And if you have a fully managed Funio VPS, it’s even more powerful: double your RAM, CPU or disk space instantly on your phone. The Funio app was also designed to grow with you. In seconds, you can buy new domain names, hosting plans and products. Why would we stop here. 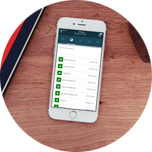 At Funio, we want your mobile app to help you manage all the aspects of your online presence. In the coming months, the Funio app will take on a new dimension to become your best ally. And even more crucial info that will help you manage your online presence. Here is an example. When the expiration date of your domain name is getting close, you usually receive an email. Then, you have to log in to your account and renew it on your computer. And that’s if you don’t forget about it! Now with the Funio app, it’s a lot easier. You’ll just need a couple of taps to renew your domain names after receiving a notification. In addition to this unique system, you will also have access to our technical support and assistance directly on your smartphone, with an advanced ticket management system. 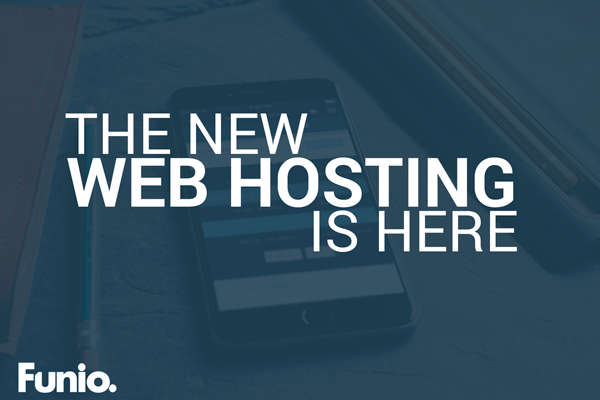 With the Funio app, discover a web hosting made easy for good, accessible wherever you are. Providing world class hosting also means staying in touch. Our blog allows us to communicate with our customers the various elements of Funio life. Copyright 2019 Funio. All rights reserved. † The promotional price is for the first month.